With the warm temperatures outside, I can't help but think about getting away for a weekend, or two. I've always had the dilema of a finding a good weekend bag that's classic, can hold a reasonable amount of items, and one that I won't grow tired of. 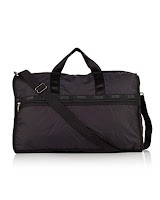 Here are some weekend bags I think can stand the test of time both in fashion and durability. 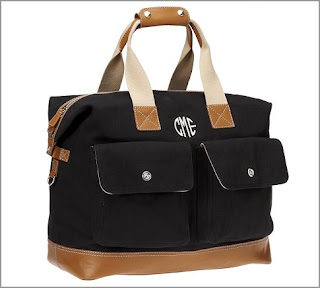 Who doesn't love a good monogram? 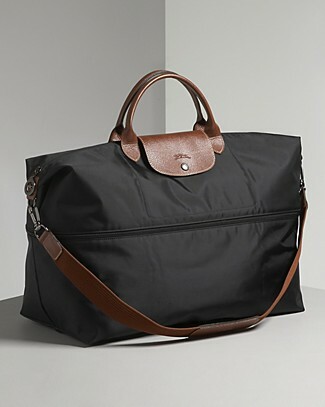 I think this bag will be my new weekend bag for summer escapes. This bag comes in different sizes and patterns. I prefer the classic black so it can transition between seasons and will never go out of style. Now I know it seems as though I am only pointing out black weekend bags, but this one, similiar to LeSportsac, comes in multiple colors. I prefer the dark purple color myself. What are some of your favorite weekend bags and getaway locations? So cute! I love the Pottery Barn one! I also love the totes from Ella Vickers, very durable!